December saw Dine Contract Catering awarded a group contract with a prestigious food manufacturing company. The addition of nine sites brings our Team Members count, for the first time, to over 1000! 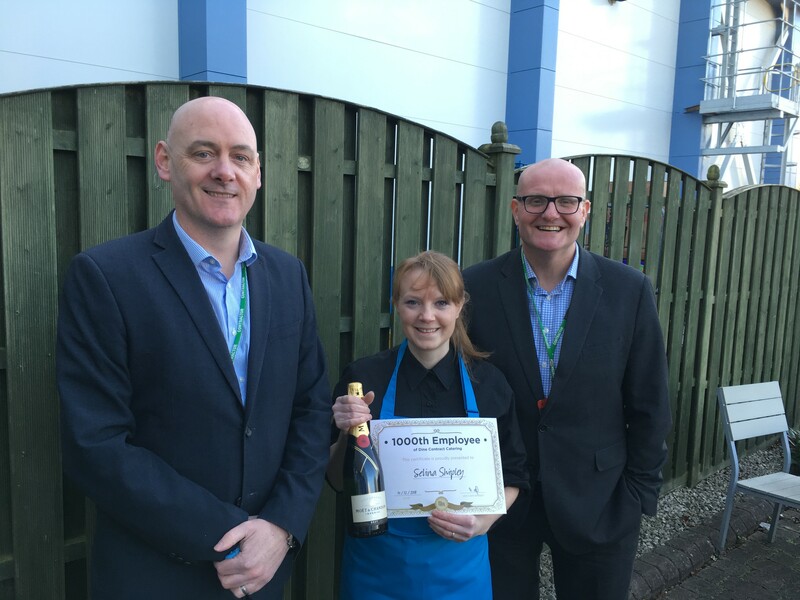 Congratulations to Selina Shipley from Skelmersdale pictured above with Area Manager, Ian O’Connor and Operations Executive for the North, Robby Ryan, on becoming the 1000th team member.